I moved to Switzerland the 1st of October 2016, leaving home in Italy for the very first time. I remember the feeling of excitement and fear, while the train I was on left the station of my city to bring me to Milan, where I would've catched the final train to reach my new life. I remember it was raining that day, when I arrived. Two luggages, a bag and a lot of expectations. The first month and a half was tough. I wasn't homesick at all, but I had to face a big problem that I've never even considered before: Having a roomate. Me and my mom lived alone by ourselves in Italy, in a quite big house for two people. My personal space was probably equal to the one of a Finnish person living in Kuusamo, or maybe close to an Australian farmer, whose neighbour is 14km away. I started to wake up with the face of another person next to me. Go to breakfast and class, surrounded by people. Then have lunch, still with people. Go back to class, followed by dinner... guess what? Always with people. And last but not least, fall asleep, with the face of another person, again, next to me. You know, probably this sounds normal for those of you who had a big family or siblings in their daily life, but for me that was insanity. I remember I had more than one hysterical attacks where I could not stop crying, asking myself if I was the "bad raised" lone wolf or if it was normal to feel like this. It is extremely true that me and my (ex) roomate had a big lack in communication and our relationship has never been of the easiest ones. Luckily, during one of my crying crisis, the Accomodation manager found me and obviously asked me what the hell was happening. I explained him the situation and he gave me the possibility to change my room if I would have found another roomate. And, out of pure luck, I found my biggest love, my perfect match, THE roomate. Since then, everything just fell into place. I wasn't stressed anymore, I could study, I could feel comfortable in my own room, I had a own safe personal space, something that I sadly was unable to find with the previous girl. And that has been mostly the only big issue I ever encountered during my student life, as, since then, my second roomie became my definitive for all the following terms. Even though my university is located in the french part of Switzerland, every course is taught in English, the official language of the School. It's an extremely international environment, thing that I love, and students come from every little corner of the world. Well, you know, Italians in general are not famous for their highly skilled english level usually, and even if I was the best one in high school... I felt like a two years old when I met Scandinavians. Oh yes. I am speaking about you, Swedes and Norwegians, you and your perfect English, so perfect that you can even catch a British accent sometimes. I clearly remember the first night, me, an italian girl and 4 other Scandinavian girls. I could not speak. I felt like I didn't know any words, I felt like a complete disaster, I was so embarassed of my language skills. And my first presentation, in front of the entire class? Damn, I was shaking. I remeber one day someone told me that you know when you're mastering a language when you start dreaming and thinking in that language. And every night of those first months I was wondering when would my day come. It did, some months later it did. And it was so amazing to notice that. But there are still mornings when I wake up and I just know that my English will be out of order. I don't know. Some days are just... in Italian, I guess. 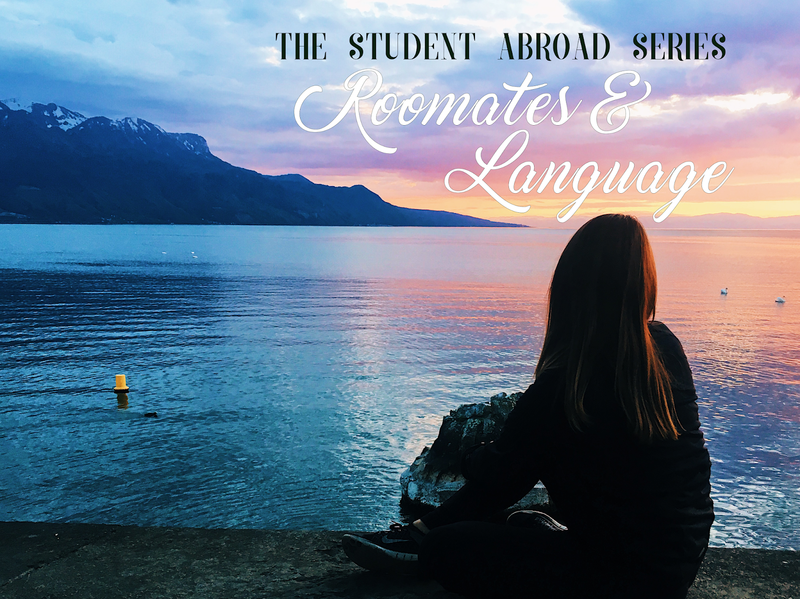 Well, this is the end of the first episode of "The Student Abroad" series! I hope you can relate to what I've passed (or maybe it's better if you actually can't), and tell me, have you experienced anything similar?